Welcome to the official site of The Digits! … just good rockin’ & fun times…helping to put Rockville on the map! “Like” us on Facebook too! 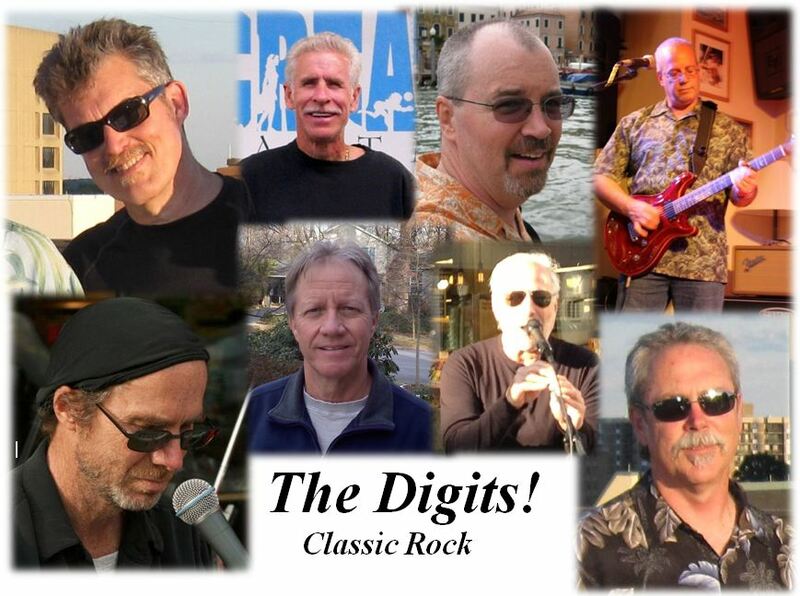 From an informal group playing to friends and family at a swim club in suburban Washington, The Digits! have coalesced into a locally popular classic rock band. We’ve played for groups as diverse as the Washington Post Company, Montgomery County Road Runners Club, and The Star Diner. We also appear frequently at Outta the Way Café, The Music Café, Crossroads BBQ and Grill, JP’s, and other similar music venues. The Digits! provide an eclectic mix of old and not-so-old songs from the Beatles, Cream, Billy Joel, Doors, Grateful Dead, James Brown, Jimi Hendrix, Rolling Stones, Sam & Dave, Heart, Joplin, and many other favorites. See partial Song List. Booking: Contact Tom Miner, Tom.Miner@LongandFoster.com, 301-873-2509 for available dates.